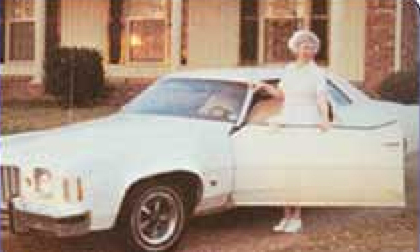 Marian Cocke, RN, poses with the 1976 Pontiac Grand Prix given to her as a gift from Elvis Presley. Elvis wanted his nurse, Marian Cocke, to travel in style, so he gave her a brand new Grand Prix. OR Nurses Nationwide wants you to travel in style, so we’re with you all the way. You’ll never go alone.